A simple and elegant feather eye mask with a rich, gold, base paint. 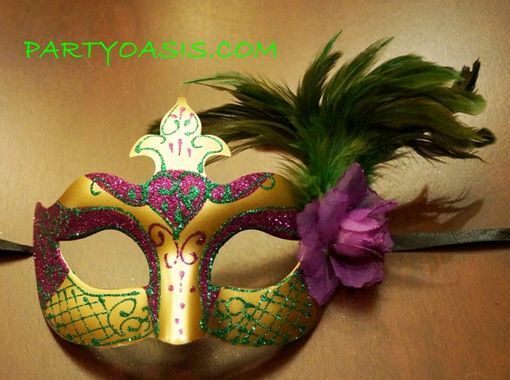 The eyes and cheeks feature purple glitter, accented with green glitter. The left side has a collection of small, green, black tipped, turkey feathers, and purple fabric rose.